It’s that time of year-just before Chinese NewYear Feb 19th and the beginning of the Feng Shui year Feb 4th. The year of the Wood Sheep. I’m getting all my Feng Shui (fung schway) supplies ready this year and have “smudged” the ranch with burning white sage preparing for 2015. The donkey thought the sage was a fun toy while it was cooling on the back steps. I only wish I would have had camera in hand at the time. Feng Shui is all about directing or deflecting energy that will bring you wealth and health luck or afflict you with sickness or loss. Last year, the year of the horse, was tough. I was very ill and needed 2 surgeries just 2 months apart. Work was hard. My mind was clouded and I wasn’t myself. I only had a few Feng Shui items in place. I roll weird that way. What I think and what I feel are different. There are many things science can’t explain and shouldn’t try. Spirit energy is one of them. I’ve been practicing Feng Shui for more than a decade now. It helped me completely change my life. I didn’t give all the credit to the placement of objects. When I first started, my life was chaos living with an addict and in an abusive relationship. Seeing someone I cared about passed out on the floor nearly every night, I worried about shame, the lack of money, late bills, and no retirement. There were times I was even afraid for my life. Creating order gave me comfort when it was difficult to find. I began simply; placing red in the south, white in the west, black in the north and green in the east. I began to feel more at peace at home and people liked the feeling in my office. Once I found the Lillian Too yearly books for each zodiac sign, practicing Feng Shui became more complex but problems in my life seemed to work themselves out where they hadn’t before. Maybe it’s that creating order gave me a sense of control. I began to take back my power and take control of my finances and life. Businessmen in China don’t think so. They were right on board with me when I mentioned it. I have street cred in Beijing. And China owns most of the US debt. And now the company where I work. My “Papi” died of lung cancer. He was not a smoker. I had a life-threatening illness: endometriosis and pelvic adhesions had wrapped around one of my kidneys. I was in incredible pain. I barely read through the 2014 book and didn’t pay attention to it much. My memory isn’t THAT good and my mind was muddy last year. No, a good friend once told me that in her mind God stood for “Good Orderly Direction”. I never forgot that. Feng Shui is about bringing order to energy flow. I don’t worship the objects, I just put them in certain places. They’re like roadsigns for energy, directing it where to go. Maybe, but I can tell you that it helped me visualize and sell a huge house during the spring of 2009 when the rest of the neighborhood was in foreclosure. I do remember one room in particular where the white sage kept going out. It seems no coincidence that was the room where my ex spent most of his time. It took 5 re-lights to clear that room. 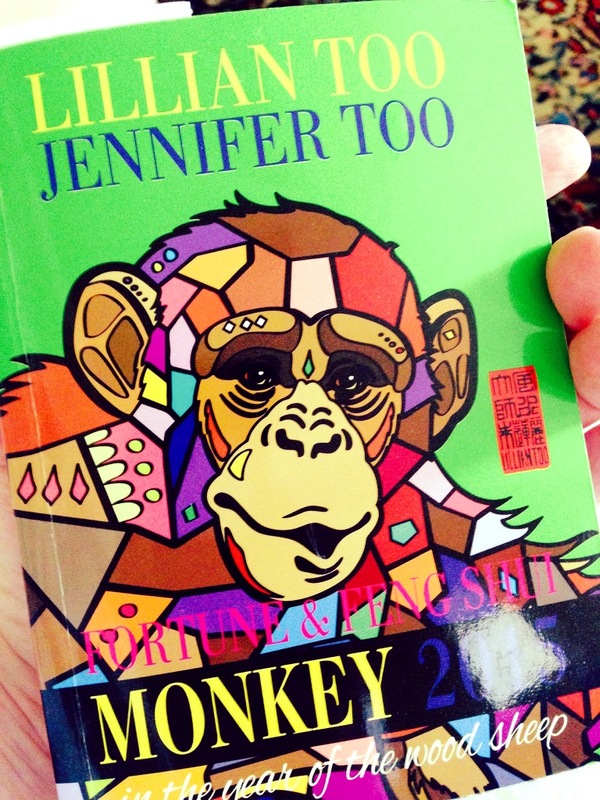 If you really want to go full on fengshui nerdville with it, I suggest the paperbacks from Lillian Too available on amazon.com. (only buy “enhancers” here. 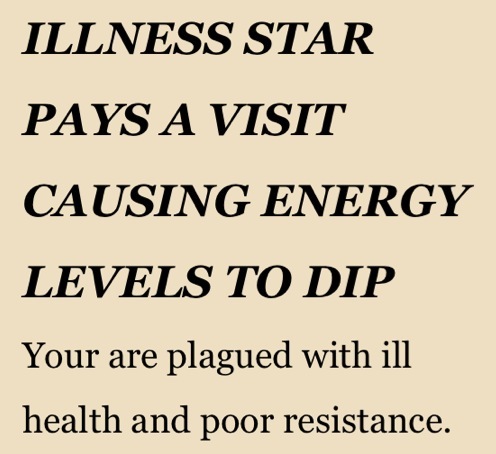 Anything used as a “cure” may be used and full of bad energy). So there you have it-one of my “quirks”. I can’t explain why, but yes, your office simply “feels good.” I can’t find a better way to describe it. ← Money lessons from Project Runway?